April 11, 2019 at 7:53 am. The Chicago Cubs will go for their first series victory of the season when they welcome the Pittsburgh Pirates on Thursday night in the rubber match of a three-game set. Chicago has lost eight of its first 11 games but is looking to wrap up its first home series on a winning note. The Cubs beat the Pirates 10-0 in the series opener before falling short 5-2 on Wednesday night. Meanwhile, Pittsburgh is looking to win its second series in a row after a cold start to the season. The Pirates have won six of 10 and hope to leave Chicago with a win before continuing their road trip to Washington and Detroit. Pirates right-hander Joe Musgrove (1-0, 0.00 ERA) is scheduled to make his third appearance (second start) of 2019. Musgrove struck out eight batters in seven scoreless innings in his previous start against the Cincinnati Reds. In three career starts against the Cubs, Musgrove is 2-1 with a 1.80 ERA. The 26-year-old California native has issued seven walks and racked up 17 strikeouts in 20 innings. 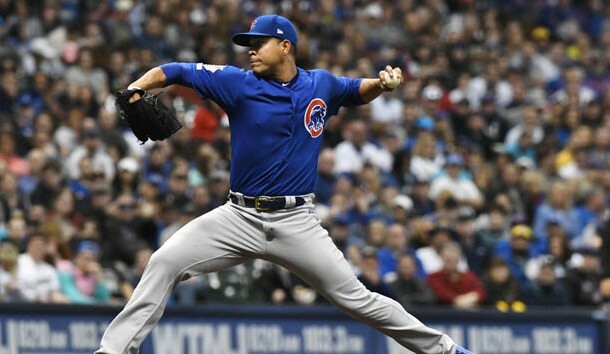 Chicago will turn to left-hander Jose Quintana (0-1, 10.29 ERA), who will also make his third appearance (second start) of the campaign. 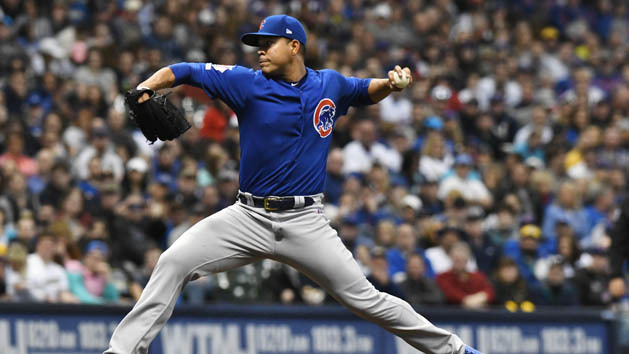 The Colombia native is coming off a nightmare start in which he gave up eight runs, all earned, on eight hits in three innings against the Milwaukee Brewers. Quintana is 1-1 with a 2.89 ERA in five career starts against the Pirates. He has 29 strikeouts in 28 innings. Pirates catcher Francisco Cervelli and outfielder Starling Marte will look to stay hot after slugging their first home runs of the season Wednesday. Josh Bell also drove in a run and finished with a pair of hits. One of the Cubs’ hottest hitters — Jason Heyward — has been a surprise to start the year. He lifted his batting average to .371 with a three-hit performance, including a solo home run, against the Pirates on Wednesday. The Cubs will lean on Quintana and three other starters — Kyle Hendricks, Yu Darvish and Cole Hamels — to pick up the bulk of the workload while Jon Lester is sidelined. Lester was placed on the 10-day injured list Wednesday because of a left hamstring injury. “He’s our guy; he’s our ace,” Hendricks said in comments published by NBC Sports Chicago. “We know we have to pick up some of the slack, but it’s the same mindset coming in — just try to win today. The Pirates also have questions about the short-term future of their rotation after Chris Archer drew a five-game suspension for his role in a benches-clearing incident with the Cincinnati Reds earlier this week. Archer plans to appeal the suspension. “I just want to let (the process) play itself out,” Archer told reporters after Tuesday’s game against the Cubs.